My name is Jeff and I have watched soaps most of my forty years. Some of my earliest memories involve Erica Kane, Rachel Cory, Mike Bauer, and John Dixon. 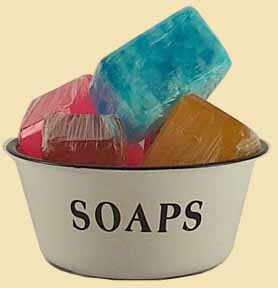 All throughout my formative years, soaps were my favorite entertainment genre. When everyone else was glued to Charlie’s Angels, I was wondering if Iris was going to split up Mac and Rachel on Another World. When others were giggling at Three’s Company, I was waiting for General Hospital‘s Laura and Scotty to get married in the park. Like all good friends, sometimes soaps disappointed me. Some stories work, and some don’t. However, for most of the eighties, I was a happy soap fan. Then along came the nineties, or as I call it, “The Soap Killing Decade.” Sure, soaps enjoyed somewhat decent ratings during the Clinton administration, but things were going in the wrong direction. I know the Iran-Contra hearings in 1987 and the O.J. Simpson trial in 1995 pre-empted soaps and that caused a ratings to dip. I also know that the onslaught of cable channels didn’t help matters either. But in the end, it was the writing that drove me away from my once dear friend, the daytime drama. I have watched every soap currently on the air at one time or another in the last thirty years. The shows that I watched the longest were All My Children, As the World Turns, Guiding Light, and One Life to Live. The last soap I watched on a daily basis was Guiding Light. I stopped watching watching daily at the end of 1998, although I have tuned in occasionally here and there. Now that it’s been ten full years since I’ve had a daily commitment to a soap, I’m realizing that I miss my old friend, the daytime drama. Can any soap out there win me back? Starting December 1 and over the following eight weeks, I will watch one soap per week; every day for an entire week. Starting with All My Children the first week and ending with The Young and the Restless on the eighth, I will watch each one for five consecutive days with a new and fresh perspective – and I will report my findings here. Will any of them hook me? Can I be a soap fan again? This entry was posted on November 22, 2008 at 8:32 pm and is filed under Soaps in General with tags all my children, another world, as the world turns, guiding light, soaps. You can follow any responses to this entry through the RSS 2.0 feed. You can leave a response, or trackback from your own site.